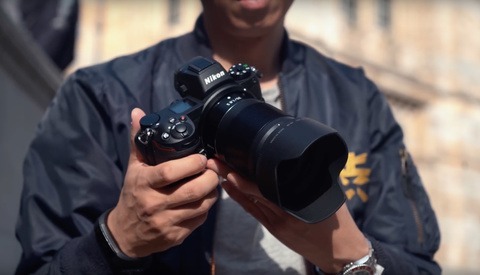 Video of Nikon Z6 - Best All Round &quot;Affordable&quot; Full Frame Mirrorless? 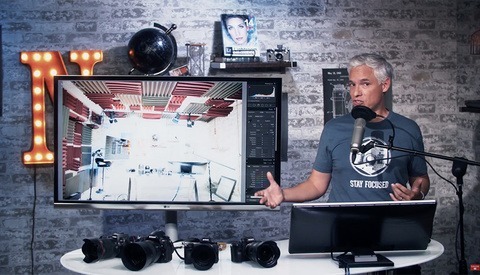 With only three lenses available for Nikon’s new mirrorless cameras, and without any of them being put to the test by Kai and PJB, it’s hard to get a true sense of how the Z6 autofocus performs. In Kai’s experience, it’s not the quickest but still better than the Z7. Can fewer autofocus points really mean better decision-making? For Kai, however, the autofocus does little to detract from the fact that, as an all-round consumer full-frame mirrorless camera, the Z6 could be the best option available. Shooting video comes with one small disclaimer: if you want to squeeze out 4K 10-bit 4:2:2 N-Log, you'll need an external recorder, and given that Nikon has been demonstrating models at launch shows with an Atmos Ninja V over the last couple of months, clearly it expects anyone wanting that level of quality to have no qualms about this. We should get a better idea as more reviewers get their hands on more units, but until then, let’s give a huge shout out to Kai who somehow managed to spend 15 minutes discussing a new mirrorless camera without once becoming distracted by the number of card slots. Well done, sir. Z6 should have been star of the Nikon show not the Z7. Z6 is really good value for money. Not sure why he didn't compare it with a native lens, unless he only had a body and adapter, but it's a safe bet AF will work better with the native lenses, although probably still no match for a D850. I'm sure if the Sony was working with non-native lenses through an adapter, the Z6 would have blown it away, comparatively speaking. Still for me AF is not a big deal. There was all that talk about Canon R but Z6 kills it for less money. We found native and non-native AF was about the same. Damn. And here I thought I could get through a whole article about the Nikon Z without a mention of card slots. Still can't understand why they left out a second SD card slot on the Z6 or the Z7. Really makes these mirrorless cameras unattractive for any sort of professional shooting. Oh, but don't worry. A second card slot is now a "distraction." if that isnt the biggest poop Ive ever heard then I dont know what is. how much space would an sd slot really take? how hard would it really be for nikon, who makes very complex amazing gear to ask the engineers to add an sd slot without making it 3mm thicker? im certain without a doubt that if they can make space proof amazing gear, that they could have added the sd slot, and im willing to bet my house that the next z6mk2 will have 2 sd slots and not come in thicker. and if it does come in 3 mm thicker, thats even better, because I like decent sized cameras like the d750 which is a perfect compromise between super large and a7 tiny. I think they designed the cameras a couple of years ago to target the a7 II and a7R II. Sony changed their design, but Nikon didn't have time. Clearly the camera not being big enough isn't a valid excuse; so many tiny cameras have two card slots, or they could have built in internal memory, or even a Micro SD backup card. Plus, literally nobody has complained that the Z cameras were too big, but many are complaining about the single card slot. So, got a question... can they improve the focus issues via firmware updates? I personally couldn't care less about the slots, I'd prefer getting internal flash storage like we live in the 21st century (but that's another story), but getting back on point can firmware solve this or is this a wait for the next version for a fix? I can't answer your question, but apparently it can be done (in Fuji XT-2's case). I remember a video about the Fuji XT-2 having a firmware upgrade, and it improved AF pretty substantially. Thanks gonna check it out! I got to do some hands on with the z6 and z7 recently. they were nice but need some improvements and more than 3 native lenses before I jump. I have been a Nikon user for years and love the 850, I also have the Sony A7RIII with the 28-70 f/2.8 GM lens. The current 3 Nikon Z lens line up just does not cut it. Just shot 1300+ images at a high school basketball game with the Z6, FTZ adapter and 24-70mm f2.8, 70-200mm f2.8, 85mm f1.4, and 200mm f2 F-mount lenses, autofocus worked great. Oh yes also took 1K shots with a single EN-EL15b battery charge. Shooting a lot or images (1k) on a short period of time (a 40-48 minutes school basketball game) won't make struggle the battery. You're missing the point, time isn't the issue. But since you mentioned it, over 3 hours for both JV and varsity including warmups, player introductions and halftime show. 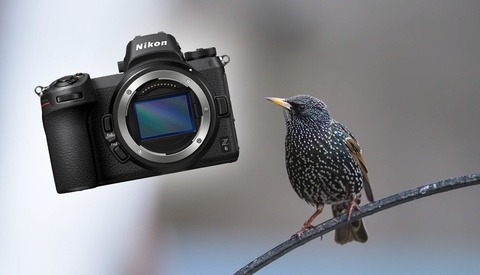 Nikon specs rate the battery for 300 shots. I shot over 1300 images with a single battery charge. Him Jim, out of curiosity, what settings were you using during this fast action BB game? My Z6 arrives tomorrow, I will be using the adapter and the same glass you have minus the 200 f/2. Just thinking I can learn from someone that has had + success with the AF-C and sports. Any tips would be appreciated in advance. I so want this body to work for sports and wildlife! Thanks....Ken. Hi Ken - at the time shooting the lenses wide open (aperture), speed 1/1000 and ISO at 2500 (f1.4), 3200 (f2), and 5000-8000 (f2.8) depending on lighting. Have since moved toward max ISO of 5000 and shooting 1/1600, accepting a slightly darker image and fixing In Lightroom. Also went to f2 on the 85mm and 105mm primes to improve depth of field. Good luck, I think you’ll really enjoy the Z6. No matter what, this camera doesn’t cut it for the price at the end of 2018 because at the end of 2017 there was a camera that smoked these new cameras in specs, performance, and at a lower price. That’s the only reason everyone is still having this discussion; the better option still exists if you aren’t brand a loyalist. what a poorly written article. relying on the views and opinions other to form a view for Fstoppers is sophomoric. And to quote some you tuber with" Nikon promised me (sic)" is F***** ridiculous. Nikon promising a person!! Are you kidding me!! Nikon does not need you tube and they do not need Fstoppers. If you want to be a leader then led don't follow the views of other to justify your existence.